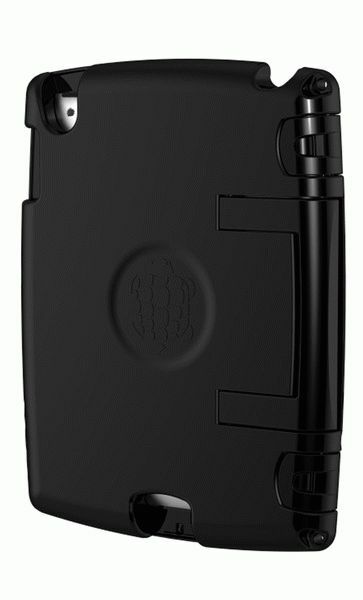 TRTL BOT, designers of eco-functional iPhone and iPad cases, proudly unveils The Shell, a clever combination of iPad 2 protective casing, multimedia viewing stand-easy grip handle, home button protector, volume enhancer and carrying tote. Designed to meet the necessities of iPad 2 users, The Shell combines the benefits of multiple accessories into one, boosting the traditional concept of a multifunctional case to a new level. Manufactured in Southern California using non-toxic recycled plastic that is BPA free and dishwasher safe, The Shell is available in Charcoal Black, Arctic White and Grass Green. Pre-orders are exclusively available at a Discounted Price of $50 via Kickstarter through October 20, 2011. Regular Price will be $65 at launch.